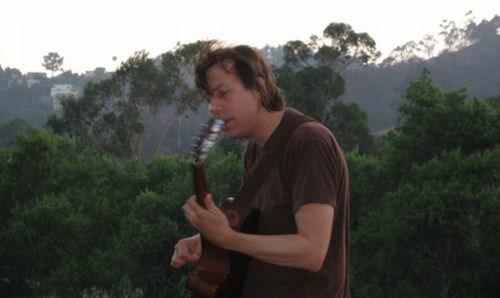 Last week Aquarium Drunkard presented John Vanderslice, Live at the LA River basin, in Los Feliz, CA. JV fans turned out for a free, acoustic driven performance — here are the videos. Special thanks to the videographer & Daniel Gill. 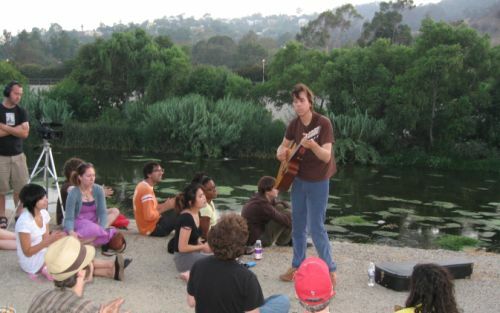 Watch five additional JV Videos Live @ The LA River Basin After Le Jump…..
LA Mellow Gold. Sure wish I had made it back to the eastside that night in time. Looks like a treat. Thats my backyard! Could that crowd look more uninterested?